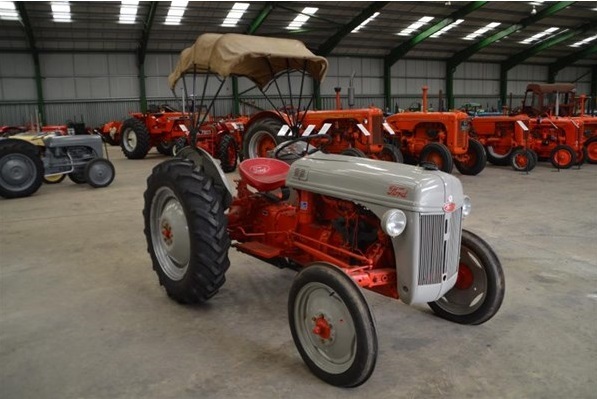 The world’s most complete collection of Ferguson machinery went under the hammer on November 14 in the UK and sold for over £500,000 (over €715,000). According to Cheffins, the auctioneers, the Hunday Ferguson Collection had been eagerly awaited following unsuccessful attempts to sell the collection as a whole. 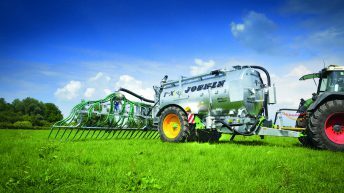 Over 1,200 buyers attended the sale from throughout the UK and Ireland as well as from the Netherlands, Sweden and there was even an Australian buyer who had a container or two to fill, Cheffins stated. With such a comprehensive collection of Fergusons with many rare and unusual examples, there were always going to be some surprises, with Cheffins stating the biggest of which was the 1943 Ford 2N ‘Funk’ V8 conversion that made a whopping £22,500. It was competed for by a telephone bidder and a bidder on-line, Cheffins stated. Looking at the memorabilia, section prices were also at a premium and much interest was shown by many buyers, according to the auctioneers. Top prices included £800 for a selection of Ferguson Brown literature, Ferguson demonstration model at £4,100 and a neon Ferguson dealers sign at £2,200. The 1953 Land Rover S1 LWB, previously owned by Harry Ferguson Ltd, made £36,000 at the sale, which Cheffins stated is believed to be a record for such a vehicle at auction. The 1956 Standard 12cwt van exceeded all expectations at £18,500, according to Cheffins. 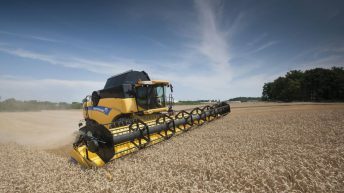 The Hunday Ferguson Collection was originally put together by pioneer collector, John Moffitt, a well-known figure in the world of farm machinery preservation, the auctioneers report. Moffitt began collecting tractors in 1965 and then opened the Hunday Museum to display his collection in 1979. 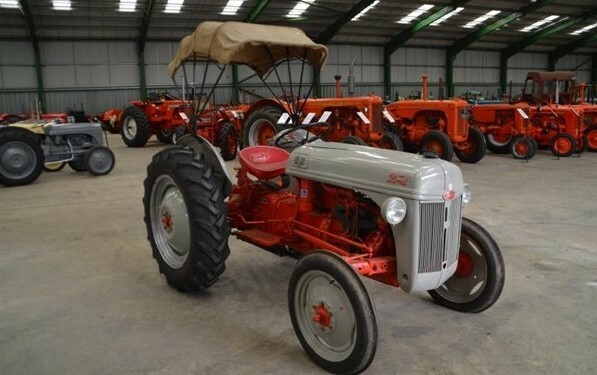 The tractors and exhibits were dispersed after the museum closed in 1989, according to the auctioneers.